I've been a road runner for most of my running life. That was until this year. 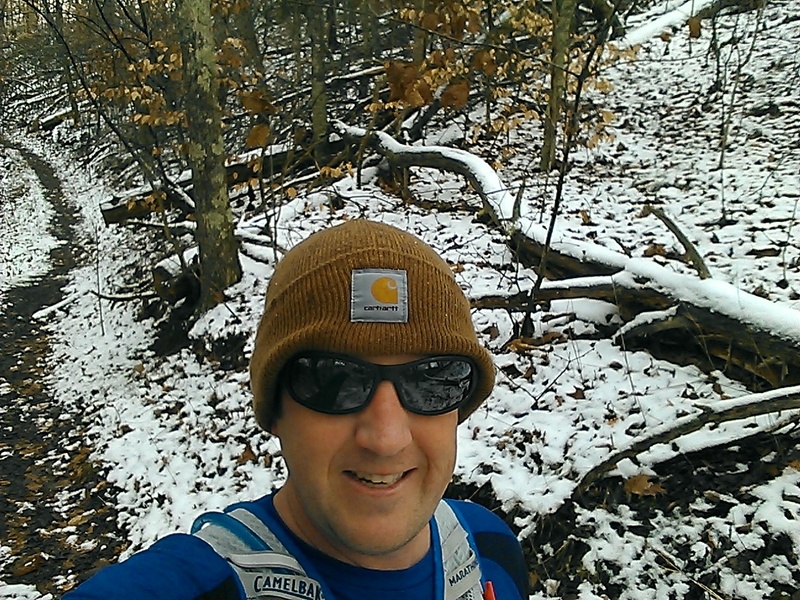 Actually, back in late November of last year I started my training to run the Dark Hollow Wallow (an 11 mile trail race) at our "home" park Big Ridge State Park. 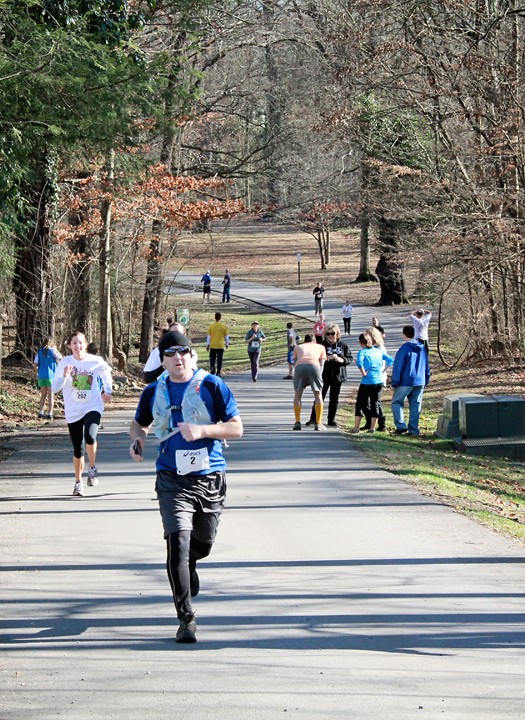 The Dark Hollow Wallow is put on by The Knoxville Track Club and is part of their Treadin' Trodden' Trail series. Last year was the first year of the race and I would have loved to run it then but was in no shape to run 11 miles on tough trails. So I made it my goal to run it this year. As mentioned, I started my training towards the end of November. I had run a couple trails prior to this point but I didn't dare call myself a trail runner as it wasn't my normal mode of running. Of course if you run and run on a trail then you're a trail runner. Up until this point I usually ran on the roads and on tracks to train for 5k's, 10k's and a couple of half marathons. During my training, I thought it would be a good idea to get some trail racing experience prior to the Dark Hollow Wallow before I bit off more than I could chew. 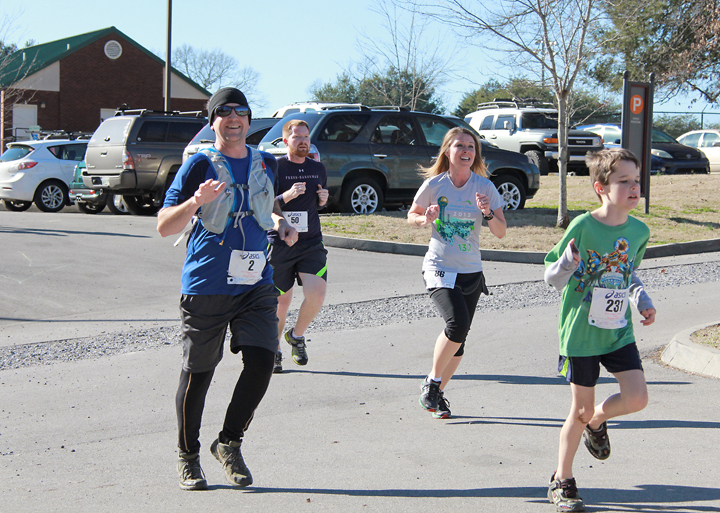 The Treadin' Trodden' Trail series starts off every year with the Wanderer's Trail Race on the Maryville College campus. It's a 4 mile trail race and I thought with where my training was already, this would be the perfect opportunity to find out what it's like to run in a trail race. Race day was finally upon me, and I had already convinced myself not to take this on as a race but rather a training run. 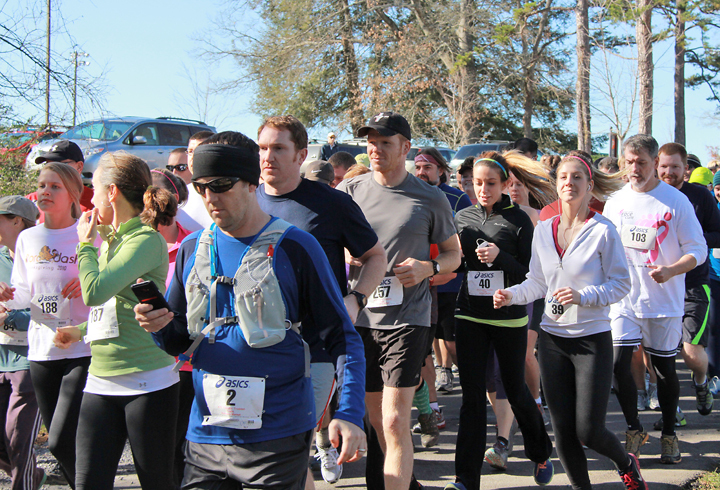 Being the first run of the season, there were quite a few people show up to run, which was a bit overwhelming. 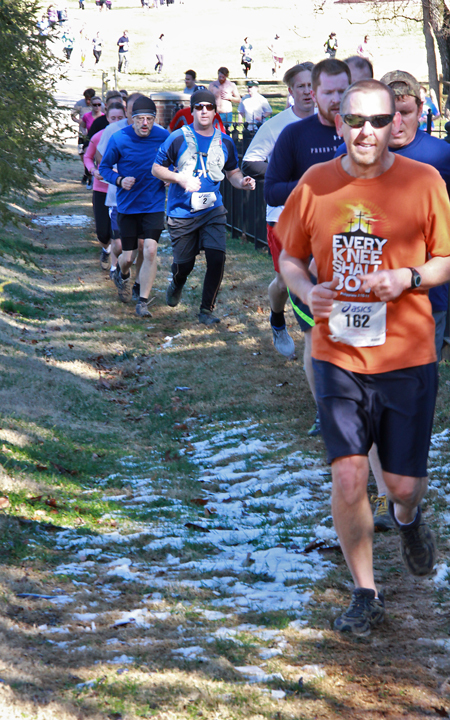 It was hard to resist the urge to take off and run it as a race with so many people being there, but alas, I lined myself up more to the back of the pack so I wouldn't be tempted. The course starts out with a good quarter mile of road before hitting the trail. This helped thin out the crowd for the most part, but by the time I reached the trail, there was a bit of a bottleneck and it took a minute before I was able to put my feet on the trail. The first stretch of trail was nothing but a thin single track with no opportunity for anyone to pass anyone else. I was okay with that though as I didn't want to gas myself. After a quarter mile or so, it opened up into more of a wooded field with plenty of space for people to position themselves where they wanted or needed. Once through the field, we all took a right and ran next to the football stadium on the campus. Past the campus, we ran through a graveled parking lot along side a practice football field and back onto a makeshift trail next to the tennis courts. From here we ran around the other side of the courts and back towards the pavilion next to the cemetery on the campus, where the pre and post race activities were held. We ran around the outer edge of the cemetery and it was back into the woods for some real trail running. I was feeling pretty good at this point with almost 2 miles under my feet. The course wasn't really tough or anything but there were a few climbs on the last half that caused me to walk a few times. I still kept a pretty good pace but again tried to prevent myself from pushing it too hard as I was still in training. 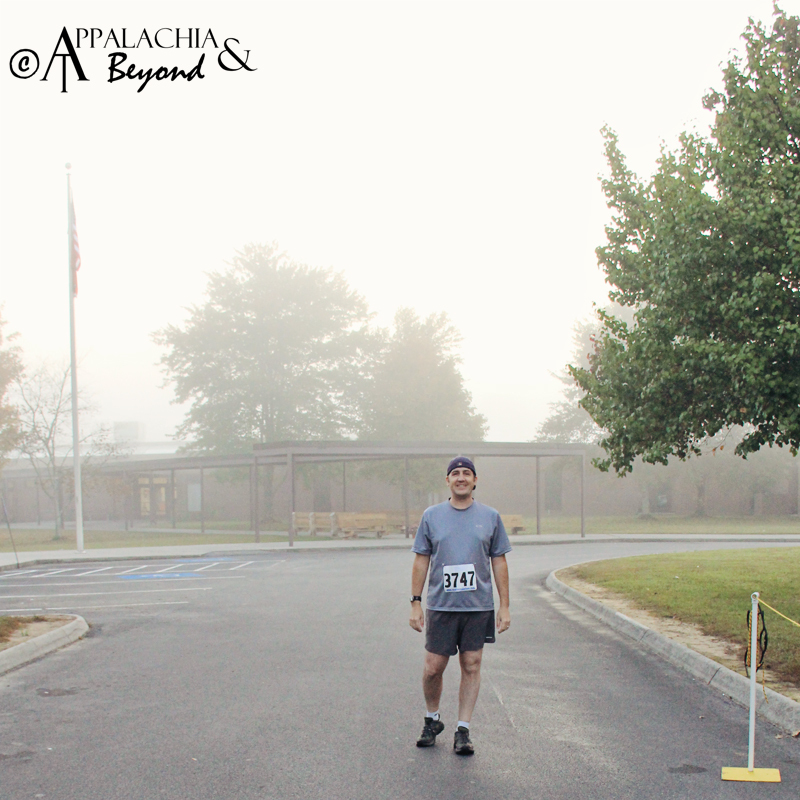 The course continued and I kept close to a pack of about 5 runners as we meandered our way through the woods. At one point there was a creek crossing with a small bottle neck. Most people were opting to cross over the wood bridge (two 1x4's put together), only a couple in the group (including myself) opted to run through the creek. Talk about cold yet refreshing. 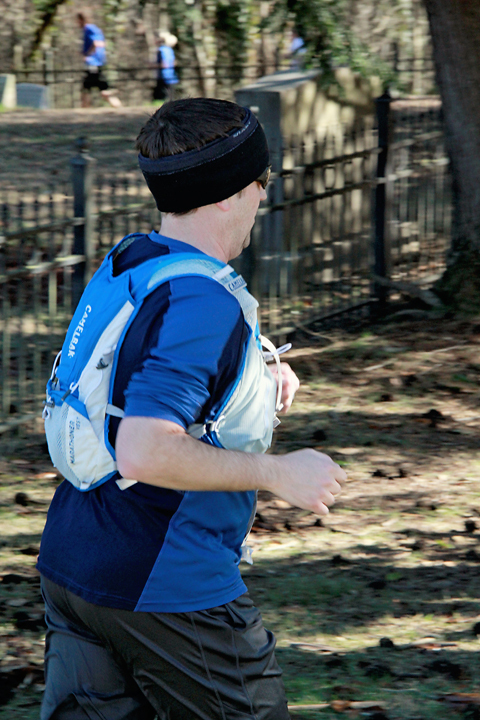 It wasn't long though before I found myself facing another uphill and lost the pack of runners I had been trailing. From this point forward it was mostly me running on my own with the occasional runner passing me or vice versa. Several more mud holes, a couple more uphills, and it wasn't long before I reached the end of the trail and popped back out onto the road for a very slight uphill finish. I ended up finishing with a time of 42:33 and finished 58 out of 68 in my age category and finished 162 out 247 total finishers. I was very pleased with my effort and furthermore came away with some trail racing experience which was necessary before my goal race of the Dark Hollow Wallow in February. I have to say trail runners are a different breed from the majority of road runners. 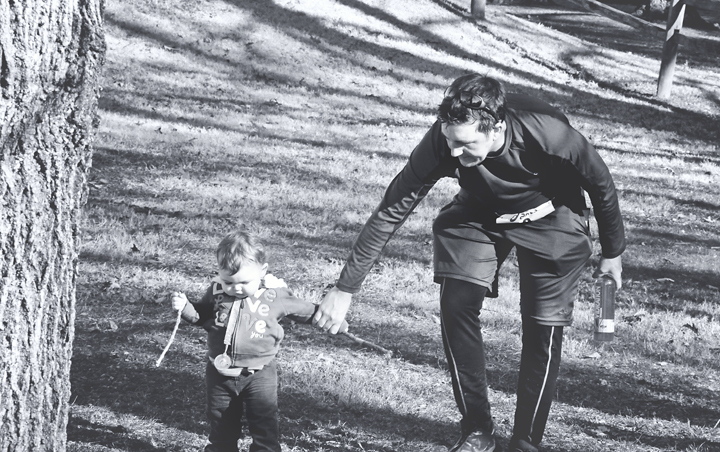 There's a certain camaraderie amongst trail runners. Overall, they're a much friendlier crowd. I almost forgot to mention that Robin and Dinah Bug accompanied me to the race. Robin had been snapping pictures the whole time during the race and had the opportunity to get racers along three different parts of the race course. After I was finished running, I found Dinah was finally released from her prison stroller, and I had her accompany me to the pavilion for some refreshments while Robin continued to snap finisher photos. She appeared to be enjoying herself by doing so and I wasn't going to deny her that satisfaction. After leaving we treated ourselves to a wonderful post race dinner at The Olive Garden. It was a great day. Stay tuned for more posts to come including some gear reviews and my race report from the Dark Hollow Wallow, definitely the hardest race I've run to date (that's including the marathon I never finished back when I was 18). P.S. Big shout out to Terramar. 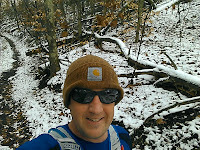 Their Performance Baselayer Pants that I bought at Bass Pro kept me snug and warm during the crisp January run. 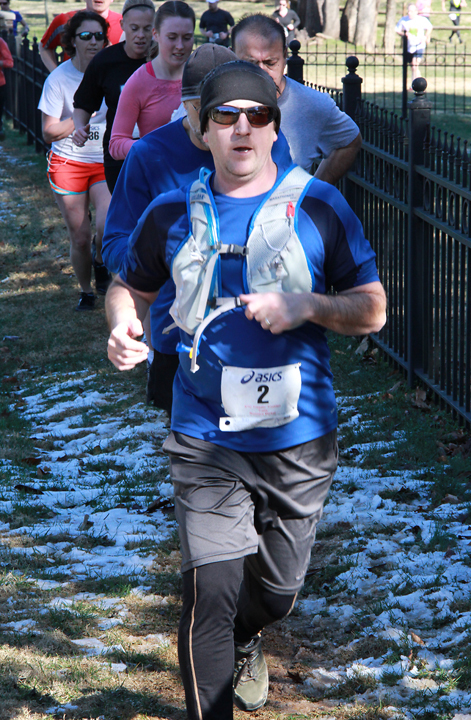 You'll also notice I was wearing my Camelbak Marathoner's vest and might think why run with a vest on a 4 mile run. The reasons are two fold, I wanted to get the feel for it and have trained with it on all my long runs as I planned on wearing it during the Dark Hollow Wallow. Also, I prefer to have water on demand rather than wait until I get to an aid station. That's just me though.